Malawi finished second at the just ended African Netball Championship in Zambia. There final game against Kenya finished in their favour 86-43 on Saturday at Olympic Youth Development Centre. 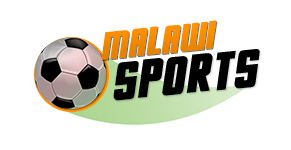 The Queens lost two games against Uganda and Zambia at the tournament. They beat Botswana, Zimbabwe, Namibia and Kenya to finish on second position. Uganda have retained the championship to qualify for 2019 World Netball Cup in Liverpool. They join Zimbabwe, Malawi and South Africa who also made it to the World Cup.